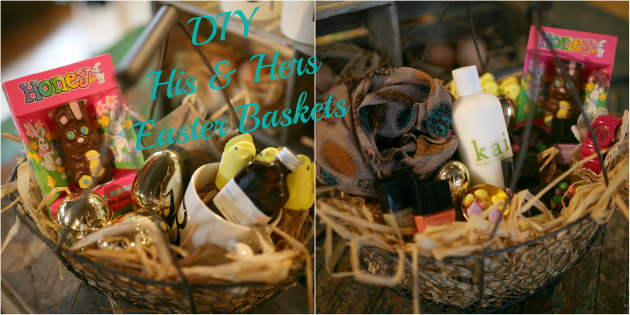 We like the idea of choosing classic ingredients alongside a special gift to fill your basket. 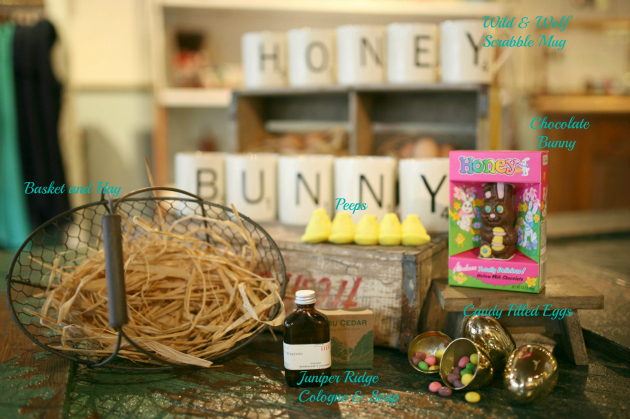 I mean who could get through an Easter without a nostalgic Chocolate Bunny and a bite of a Marshmallow Peep?! 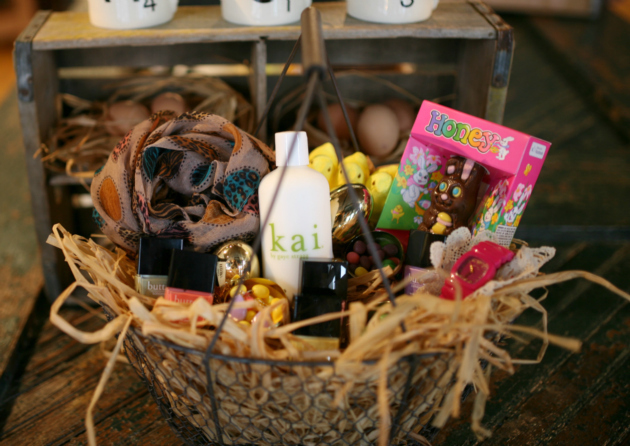 You can also put in a small gift suited for your recipient to add a sweet personal touch. 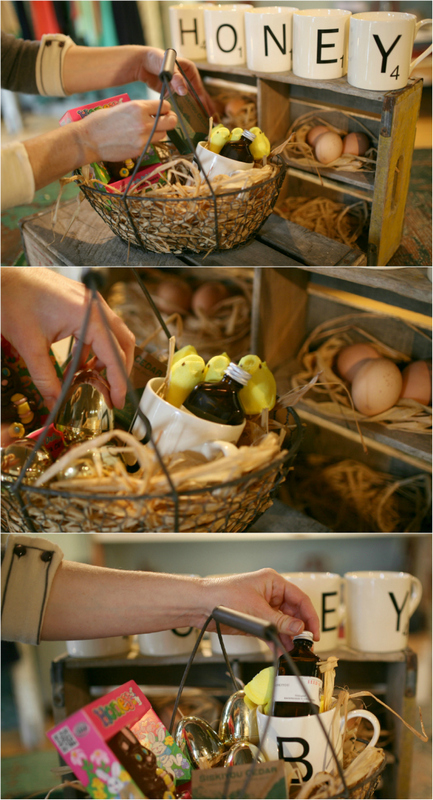 Here we chose a Wild & Wolf scrabble mug and the cologne and bar soap in Siskiyou Cedar from Juniper Ridge. and everything is secure and shown. 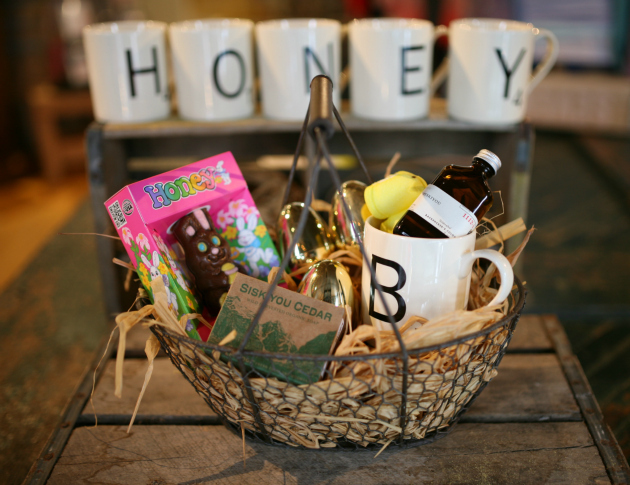 An Easter Basket for your Honey! We stayed with the same classic nostalgics for her, just added more sweets! 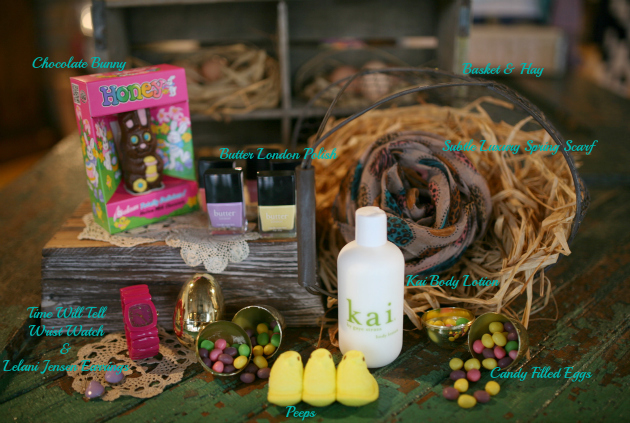 Since Butter London is just in time with their spring inspired lacquers, we made room for those in our basket along with Kai body lotion and some new spring accessories. Again, set your items in one by one until perfectly placed. You may need to add more hay in places to create height for some of your items. 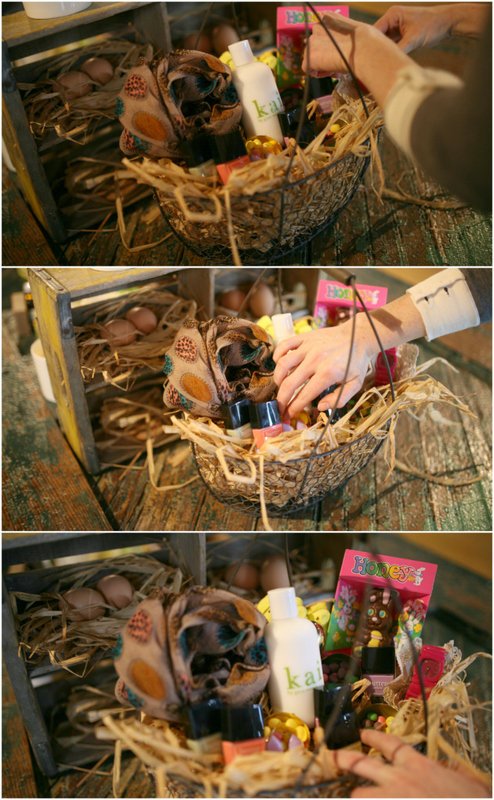 A Basket filled with Sweets for your Sweetie!